Our bakery has been open since 1954 and located in the Woodmoor Shopping Center in Silver Spring. Through the decades, we have built long-lasting, family-like friendships throughout the Washington, D.C. metro area, especially those within our neighborhood. Even today, as the price of our basic business expenses like ingredients rise, we strive to continue to give our customers "a quality product for a quality price." As challenging as it might be, everything is still made fresh by our in-house bakers and we are proud that our products DO NOT contain any preservatives. We do our absolute best to keep our product prices as low as possible. We are deeply involved with our community and love to play important roles in special celebrations like weddings, parties, meetings and holiday gatherings. We appreciate everyone’s continual support throughout the years and truly enjoy getting to know all of you… especially if you watch Redskins football! Go Skins! "This place makes the neighborhood feel like home. The best donuts I've had, cakes are unbelievable, and the pies are insane." 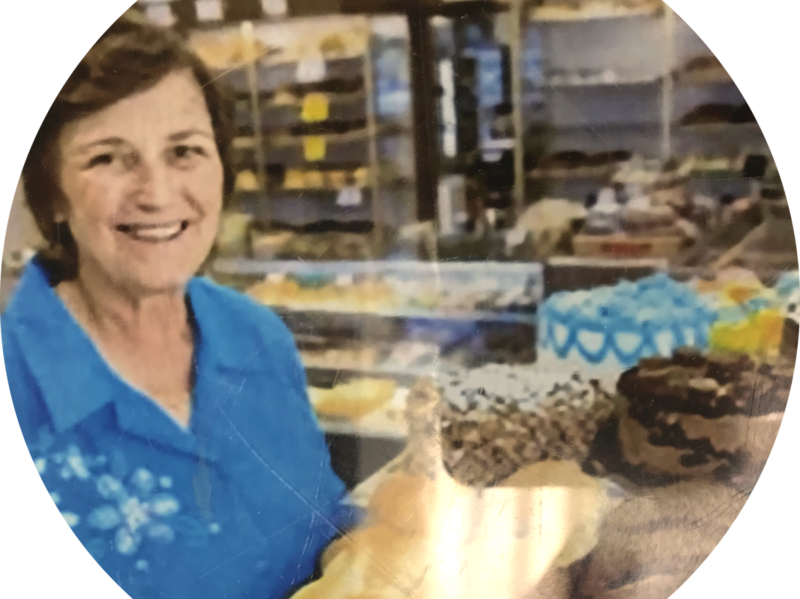 "The Woodmoor Pastry Shop has been a constant sugar solution for my family. Their donuts are amazing, but basically anything you order will be fantastic! Not only does the food taste amazing, but the prices are super reasonable. I strongly recommend checking this place out, whether you're visiting or a Silver Spring resident." "This is hands down one of the best bakeries I've ever been in. We go there at least once a week for donuts and cookies and have gotten all birthday cakes here. Staff is friendly and the prices are great. We love Woodmoor!!!" Whether you have a memory to share or a question to ask for an upcoming special order... we would love to hear from you! Our mother, Joanna, definitely deserves most of the credit for building our community of loyal customers. We will never forget her dedication to this business or her love for everyone around her. Photo credit for the artwork above: Brian Coyne Fine Art.